Seventeen of Australia’s 20 dustiest coal mines, including the entire top nine, were in Queensland, according to the federal government’s latest National Pollution Inventory. 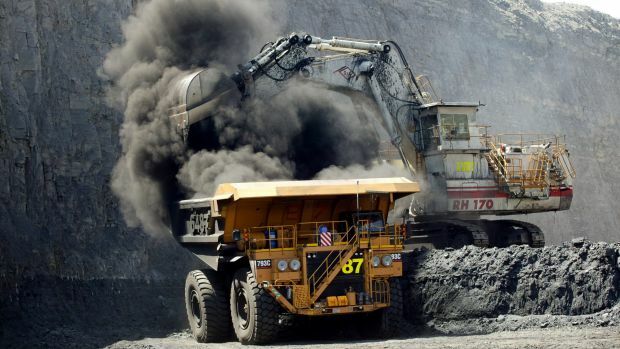 The data, which covered emissions in the 2015-16 financial year, showed the Peak Downs mine was the biggest generator of airborne pollution, with 30,576 tonnes of PM 10 particulates (10 micrometres or less in diameter) entering the atmosphere near Moranbah. The Blackwater mine (28,135 tonnes) was second, with another Moranbah mine – Goonyella Riverside – third with 22,336 tonnes. Blackwater produced the most PM 2.5 particulates (2.5 micrometres or less in diameter) in Australia, with 480 tonnes, followed by Peak Downs (418 tonnes) and Saraji, near Dysart, with 403 tonnes. Clean Air Queensland spokesman Michael Kane said the nine mines in the national top 10 accounted for 40 per cent of the state’s industrial air pollution and something had to be done. “The level of air pollution caused by the coal industry in Queensland is unacceptable and continues virtually unregulated,” he said. Black lung disease, once thought to have been eradicated, has had a resurgence in Queensland, with the CFMEU blaming poor dust management at mine sites. The resurgence has prompted a government inquiry, which has heard details of systemic failures in the management and diagnosis of the disease, more formally known as coal miner’s pneumoconiosis. “It is not just miners being exposed to elevated concentrations of coal dust,” Mr Kane said. “Communities throughout the Queensland are being exposed to undisclosed and unregulated fine particle pollution concentrations. Mr Kane said there needed to be more stringent dust mitigation regimes to protect the public from coal dust. “We don’t need another inquiry or study, we need action,” he said. “I think it’s clear that communities are facing a similar situation to workers in regards to regulatory failure on air pollution. I am very concerned about the tens of thousands of Queenslanders who live near coal mines, stockpiles, coal ports and uncovered coal transports. Dr Miles was not available for comment, but a Department of Environment and Heritage Protection spokeswoman said the NPI was not a measure of community exposure to pollutants. “Many additional factors, including weather conditions and distance from emission sources, influence ambient air quality – the air-pollutant levels people are exposed to,” she said. The spokeswoman said “significant” air monitoring had been done around coal transport rail lines. “Coal loads are covered with veneer prior to transport, a biodegradable substance that forms a crust on top of coal loads to prevent coal dust being blown off,” she said. The monitoring of mine sites themselves, the spokeswoman said, was performed by the mine operators. “Air monitoring required under environmental authorities is designed to inform on off-site risks to air quality,” she said. Queensland Resources Council chief executive Ian Macfarlane said the overall figures were much less dramatic. “Over the past two years, the NPI data has shown both national and Queensland emissions have been steadily reducing in both PM 2.5 and PM 10,” he said. “Queensland has a rigorous and transparent system of compliance with dust monitoring levels and companies implement stringent measures to reduce emissions.